Ahead of the February presidential election, a former presidential aspirant on the platform of the All Progressive Congress APC), Chief Charles Udeogaranya, has said that Nigerians run the risk of dealing with a sick leader if President Muhammadu Buhari is returned to power. 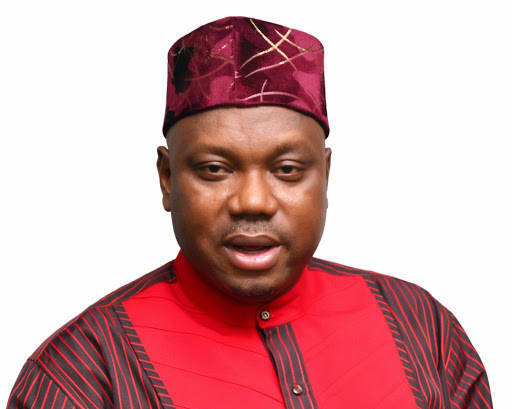 Chief Udeogaranya who later defected to the People’s Democratic Party (PDP), said judging by the president’s age and current health status, he is clearly unfit to cope with the rigours of governance if given the mandate for a second term in office, warning that the country risks a repeat of the Musa Yar’ a dua days. “An honest apolitical assessment of President Muhammadu Buhari’s performances at ‘Meet the Candidates’ live television programme on NTA will clearly declare him unfit to preside over the executive arm of government. “Although there were some flashes of the real Buhari that occurred in less than 30 per cent of the time, his inability to understand a mere simple question, coupled with his incoherent responses suggests that the old general has surrendered to nature. He can only rely on intuition, relations and very old, trusted friends to perform simple mental tasks. “The implication is those unknown persons who were not elected by Nigerians are now in charge of Nigeria. And now, criticism against the person of Buhari may now be unfair since nature has set in for him. Besides, his medical conditions may not help matters for him in the days ahead.